In November, Ford Motor Company(s f) hit a critical milestone: its 10 millionth Sync-enabled vehicle rolled off the assembly line. But that doesn’t mean that Ford has built 10 million connected cars. Sync in its most basic form is a voice command-and-control system. AppLink, the in-car connectivity platform companion which allows apps in your smartphone to run in the dashboard, has only made it into 1 million Fords since it launched in 2010. Ford, however, said on Friday that it plans to boost that number considerably in coming months by retroactively installing AppLink in as many as 3.4 million Sync-enabled vehicles already on the road today. Ford hasn’t yet revealed any details about which vehicle models will be eligible for the upgrade or when they would receive it. It appears that process will involve a simple software download, though its unclear whether customers can install the software themselves or must go to the dealer. We’re likely to hear more at CES next week. The fact that Ford can flip a switch in 3.4 million vehicles and turn them into connected cars is impressive, owing to the way AppLink was originally implemented. Unlike many other connected-car infotainment systems, AppLink is a fairly lightweight platform. It’s basically a user interface and thin software client designed to interact with the smartphone. The handset not only hosts the apps but also provides the critical mobile data connection back to the internet. 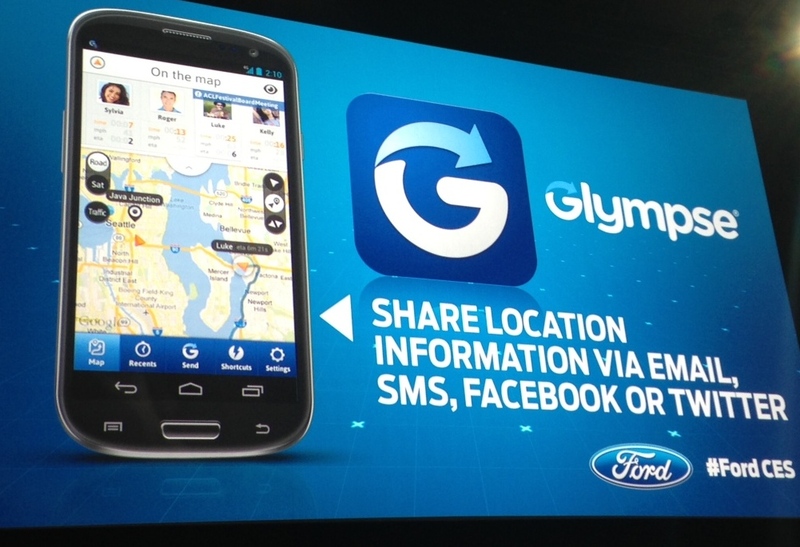 That smartphone-centric approach has allowed Ford to put its connected car platform in more affordable vehicles and build up a sizable developer community and app catalog (AppLink hosts 60 apps today and is growing). It’s also made every generation of apps backwards compatible to every AppLink system launched since 2010, according to the company. And as Ford revealed today, AppLink is flexible enough to make it an aftermarket upgrade in millions of currently unconnected vehicles. For the bigger picture on how AppLink fits into Ford’s ambitious connected car plans, be sure to check out my recent profile of Bill Ford, the automaker’s executive chairman. In a detailed interview, Ford explained how vehicle connectivity, autonomous driving and electric power-trains will drive a new wave of automotive innovation not seen since his great-grandfather Henry Ford built the Model T.
I have logged on to Syncmyride regularly for my 2013 Focus. Due to the high mileage, it’s no longer under New Car Basic Warranty. It shows that my software is up to date. I went to the dealership yesterday and had my oil changed and was informed of an update available from 4.1.2. to 4.2.1. After some research, I realized this would likely fix the issues I was experiencing since Day 1 with my phone + car. I was told it would cost 0.5 hours labour to install this as I’m no longer under warranty. I decided I would install it on my own at home to save this expense (even though I had these issues with the car long before the warranty expired). I went home and logged on to find that Syncmyride hasn’t changed and still says I’m up to date so I did the next logical thing and called Sync Support. They informed me that it I do indeed have an upgrade available and they were confused by why it wasn’t available online. I was informed the only way to get it was to see the Dealer (and pay the 0.5 hr labour to get it installed). I relayed my concerns with this (ie. having issues since Day 1 and REPORTING these to the dealer every time I was in while still under warranty). Was given the typical answer (we don’t set their policies, etc). I tried calling the dealer and got the same response in that the labour isn’t covered due to the mileage on the car. Where is the customer service and logic aspect here Ford? Absolutely appalled that I have to keep this thing for another 5 years and this is the kind of help this company offers. When will Ford finally extend AppLink to MyFordTouch versions of Sync?!! One of the (many) complaints about MyFordTouch was that this high-end system didn’t support AppLink – even though it was (at one time, anyway) presented as a successor to Sync. A recent update (by automobile standards, not by software standards) finally delivered a MyFordTouch that didn’t blue-screen-of-death constantly. But that version still doesn’t support AppLink – and has enough other bizzaro problems that it still seems like a hacked up mess. Given the well known problem embedded systems have with security – especially in a WiFi/bluetooth/cellular network environment, I recommend AGAINST any such systems in a vehicle with as long an useful life as a car. The only embedded system designer that seems to get it right is Apple – and that’s because they keep strong control over the platform and limit the number of different physical types of platforms to support. Involving a third party in networking and security is going to end in insecure systems as critical components of the system will never be updated, leading to security holes going unfilled. I’ve seen this happen with cell-phones running Android software and Microsoft software. I’ve seen it with small-office/home routers (there’s a lot of outstanding issues right now in that market), and with big, expensive state-of-the-art pieces of equipment like DNA sequencers – where support for a critical piece of hardware prevents even normal patches to the operating system from being applied. I have a 2014 Lincoln MKZ with Sync. I think it’s awesome, and I don’t understand all the negativity. It may be related to resistance to a new way of doing things. Also, Sync software updates can be done by owners by downloading to a USB flash drive and then plugging that into the vehicle to do the install. I have all the features except AppLink. Hope I get that upgrade. I bought one of the original Ford Fiestas 3.5 years ago. Got Sync for free because I pre-ordered. I have not bothered to keep Sync software up to date because I didn’t have a smartphone and didn’t need the updates, which were app oriented. In 2013 I finally got a smartphone, so I planned to update the software. The website info was less than helpful, so I called. Turns out that the current update cannot be done by the customer. You must take the car in and PAY for the software update. I have not been impressed with Sync and don’t see any value in paying them to try to convince me that it is better now.